Situated in the idyllic countryside near Cheddar Gorge, The Webbington Hotel and Spa is the perfect country retreat. A popular resort for many centuries, visitors continue to flock to the beautiful town of Cheddar to view its magnificent limestone Gorge. The area is rife with various species of wildlife, in particular the infamous herd of feral goats that grace this spectacular National Trust site. 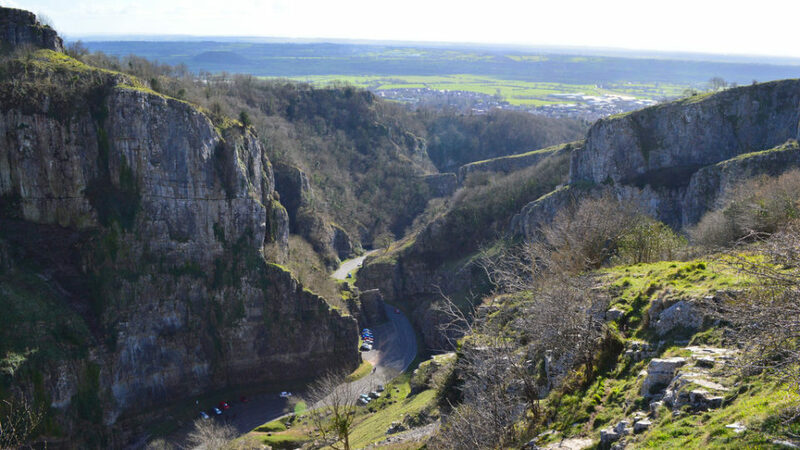 Explore the awe-inspiring heights of Cheddar Gorge and experience the unforgettable views of the natural beauty of Somerset. Spend an afternoon hiking up Jacob’s Ladder and stroll along the scenic cliff-tops, before returning one of the many dainty tearooms Cheddar has to offer. The world famous Wookey Hole Caves are located only 6 miles from the hotel, and are a must-see for anyone staying in the area. The quaint village also contains a variety of stunning gift shops, eateries and even a miniature toy museum. The area is also renowned for its Cheddar cheese, the traditional method of cheese making can still be seen at the Cheddar Gorge Cheese Company. As one of the finest Cheddar hotels, we are lucky to have acres of beautiful Somerset countryside right on our doorstep. Whether it’s walking, cycling or horse-riding you prefer, Cheddar is the perfect place to enjoy the outdoors. After an adventurous day exploring in Cheddar, sit back and relax next to our open wood-fire in our hotel restaurant. Or rest those tired feet in our relaxing spa facilities. Once the day is over, stay the night in one of our spacious guest rooms located in our attractive Edwardian manor house. With nearby access to major motorways, namely the M4 & M5, and within easy reach of local hot spots, The Webbington Hotel is one of the top hotels in Cheddar.